Maggie's Big Home: Encourage Writing! 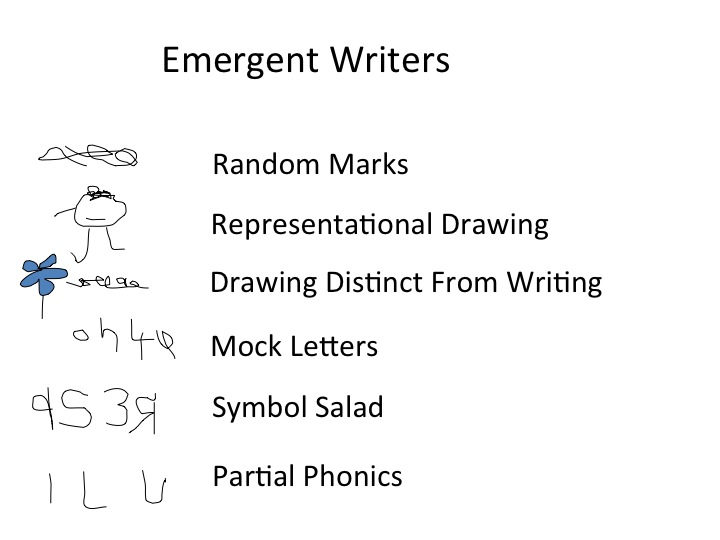 Did you know children progress through stages of writing? 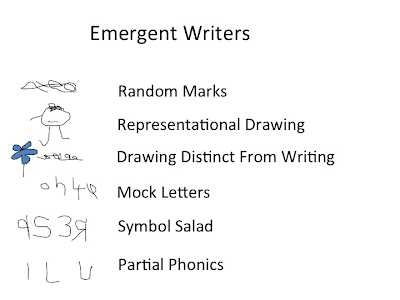 As teachers and family members, we can encourage a child's love of writing by celebrating these stages. Ask children to write grocery lists, make thank you cards, or keep a daily journal. Don't worry about "words" that don't look like words. The lists may contain scribbles, pictures, or even a jumble of letter and numbers. That's great and necessary for writing development! PRAISE! APPLAUD! And most of all, don't worry about a four year-old spelling anything correctly!